FindItMore | There is still a lot of misinformation in the world of search engines, social media, SEO, and SMM optimisation. Not everyone understands how important it is for your businesses’ online presence, or how a lack of it can be detrimental. Even if you don’t understand how SEO works, it’s no excuse not to put plans in place for the implementation of it. If you don’t rank in a search engine, or get expert help with SMM optimisation, you can become lost in the vast and ever-growing digital space. If a lack of traffic to your website is beginning to concern you, however, then the time to act is now. Find out all about link building, part of SEO and search engine tactics, below, and how it can benefit your business. When SEO first became a “thing”, the most critical component to consider was your content. You needed to place keywords strategically, and links didn’t tend to impact search engine results all that much. However, what people began to do was take those commonly searched phrases, add them into their website content, and lead people on a wild goose chase. Many websites didn’t even relate to the content that showed up for them in search engine results.In essence, the SEO system was abused. Therefore, search engineers began looking for other ways for search engine optimisation (SEO) to come into play, but in such a way that web developers could not abuse it. Social media and SMM optimisation were two ways, but link building was another. Search engineers found that websites with more links were some of the best pages on the internet, and they tended to house more relevant information. It was less likely that those searching for information would be let down. Nowadays, the more meaningful the links, the better placed the website is in a search engine. When link building became an essential part of SEO and relevance on search engines, more and more web developers began to include hyperlinks on their websites. After all, it helped them to remain relevant on any given search engine, working alongside SMM optimisation and other social media advertising campaigns too. Unfortunately, linking became more about getting that premium position in search rankings and less about providing helpful information for those searching for it. Now, search engineers continually filter through links to ensure they are A) not spam and B) relevant to the information surrounding those links. How Does a Search Engine Know a Link is Relevant? If you’re not particularly savvy with optimizing your website for traffic, or even with social media, then understanding how search engines know your links are relevant can seem a little strange. There are many tell-tale signs that a link is valuable or not. White Hat vs. Black Hat SEO? Most people with a website now understand at least the basics of SEO and SMM optimisation, but what they may not realize is that there are clearly defined rules and regulations surrounding its use. As previously mentioned, some people try to trick the system to improve their search engine ranking, deceiving people in the process. That’s why SEO is now in two categories – black hat and white hat. 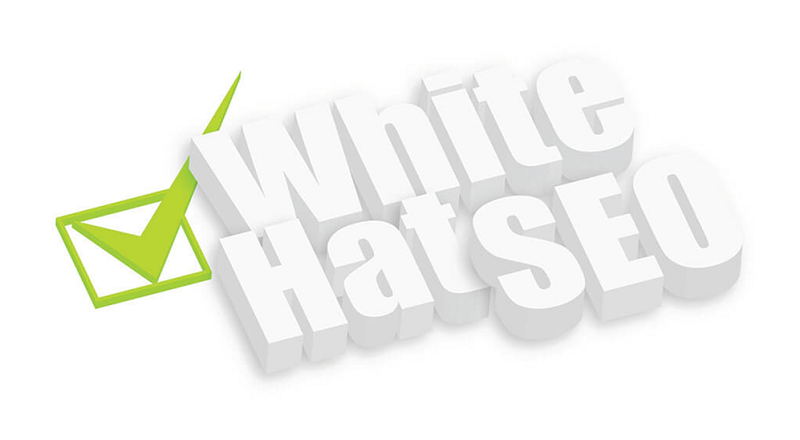 White hat SEO is what everyone should aim for. You use SEO and SMM optimisation to your advantage, but without deceiving people. You provide quality content, research and use keywords that are effective but relate to the information on your website, and you use internal and backlinks to show your site has value. To show value, you must create value; it’s that simple. Black hat SEO, on the other hand, is deceitful. You use high-ranking keywords that bear no relevance to your website and offerings and use automated text that makes no sense but has a few well-placed keywords for search engine bots to rank well. Black hat SEO also includes doorway pages which are fake pages stuffed with SEO keywords that then redirect the reader to an entirely unrelated page. Invisible text and links are also not unheard of either. If you are going to deceive your page visitors, you are partaking in black hat SEO which can see you banned or de-ranked. If you want to build a successful, informative web page or website that gets traffic and ranks well, then you will need to have patience. It can take some time to move up the ranks, using SEO and SMM optimisation to your advantage, and making the most of social media at the same time. You need to publish relevant content with informative links, use keywords effectively, insert metadata, use alt tags, and be informative with how you name your links too. With perseverance and patience, you can understand and employ white hat link building basics in 2019 to your advantage. How is Valuable Content Crucial to Your SEO Strategy?